I mentioned last week how intimidating my law school orientation was partly because I heard about so many accomplished students who were part of my year, and it was intimidating to compete against them. What I wish I had known then was that almost everyone—even the very accomplished—were just in the dark as I was. For the most part, we were all new to reading case law, briefing cases, the Socratic Method, and thinking like a lawyer. Now, of course, it wasn’t a completely even playing field. There were students that seemed to magically understand the concepts the professors were presenting; they knew which supplementals to use; they knew how to write memos like they had been doing it for years. It was mind-boggling how some could seemingly just excel so naturally. And when I compared their progress to mine, it totally made me question my capacity. If I was so smart, why wasn’t this as easy for me as it was for others? Let me let you in on a secret: those students that seemed to be naturally gifted and just “get” the law school process so well that they make you question your capacity, more than likely, have had these resources available to them for a long time. They didn’t just intern at some law firm for a summer—they have family who are attorneys and have helped them prepare for law school. In fact, I distinctly remember being in my 1L writing section just overwhelmed that one student naturally, flawlessly wrote their memo like they’d been doing it for years. Why did this person get it so easily and I struggled?! Surprise: I realized years later, this person’s parent had their own legal practice. Oh. Obviously, when you have resources available to you, it will make a difference in your outcome. Yes, it may not always be the case, and some people get it naturally—but, it’s few and far between that are naturally gifted at the law (especially as 1Ls). So, if it’s true that most students are completely new to this process, but that there are some that have a leg up, what are you supposed to do to ensure you succeed? It may be hard to do, but your motto should be that you worry about yourself & compete against yourself. The best thing you can do for your mental health and professional progress in law school is to focus on your own abilities and advancement. Don’t compare your success or failures or abilities with other students. Because you will rarely ever know who is naturally talented versus who has had all the resources available to them. It’s an unfair game to compare your abilities (and to beat yourself down for not comparing) to someone who has had more guidance than you have had. Instead, put serious focus on where you can improve. Push yourself to do better than you did the week before without worrying about how well others are doing. By the time I started taking trial advocacy courses my 2L year, I made it a point to focus on my own game rather than compare myself to other students. It made such a difference in my ability to prepare, my confidence increased tremendously in capabilities, and I felt so secure in my skills that by my 2L summer, I didn’t hesitate to participate as a second-chair in a jury trial at my internship—something I wouldn’t have done if I hadn’t concentrated on making myself better. 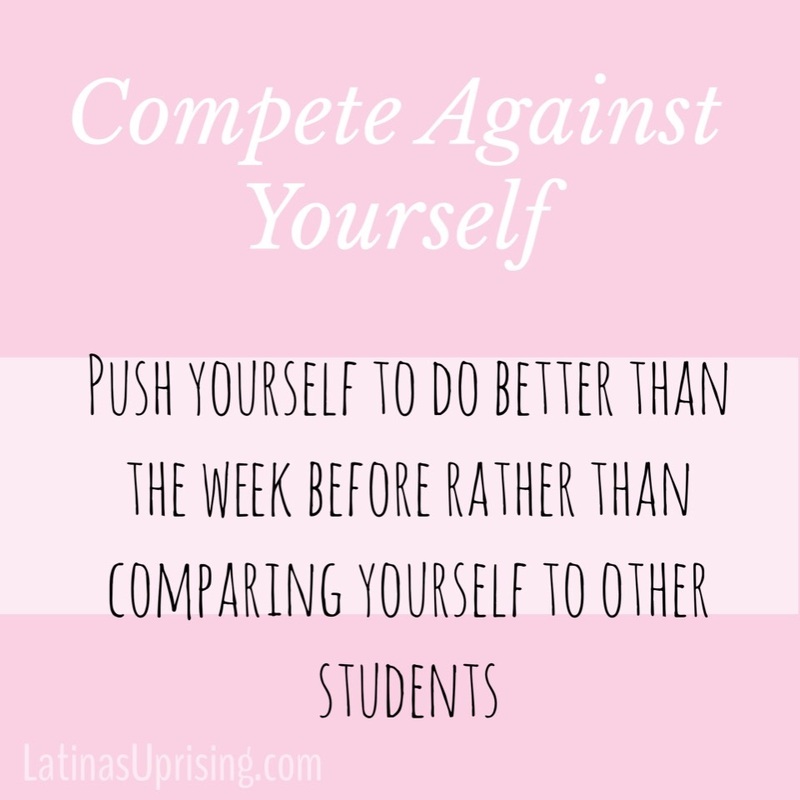 How do/did you avoid comparing yourself to other students?